The often told story of the six-seat executive aircraft built for Lord Rothermere, proprietor of the aviation-supporting Daily Mail, usually misses the vital point. Why did he want a fast executive aircraft? Primarily it was to show the world that Britain could build a civil aircraft at least as good as the Douglas DC-1. 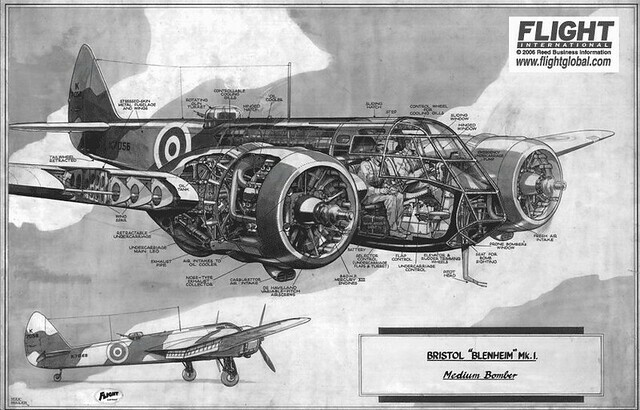 Bristol's Type 142 first flew on 12 April 1935. When tested at Martlesham Heath in June it proved to be 80 km/h faster than Britain's latest fighter prototype. 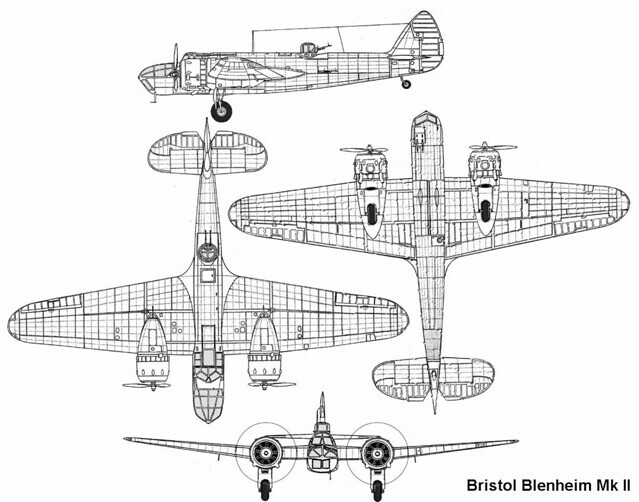 The outcome was the Bristol Type 142M, the most important changes being to provide armament, a bomb aimer's position, internal bomb stowage and more powerful 626kW Mercury VIII radial engines. 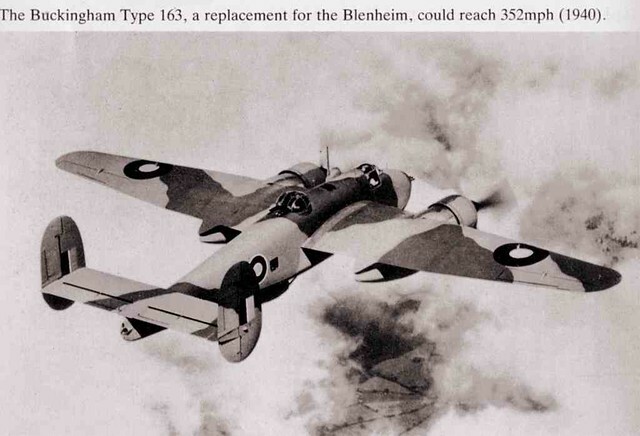 To make room for a bomb bay in the lower fuselage, the low-wing configuration of the civil Type 142 was changed to mid-wing for the military version, which became named Blenheim. The prototype made its first flight on 25 June 1936, and initial deliveries went to No 114 Bomber Squadron in March 1937. 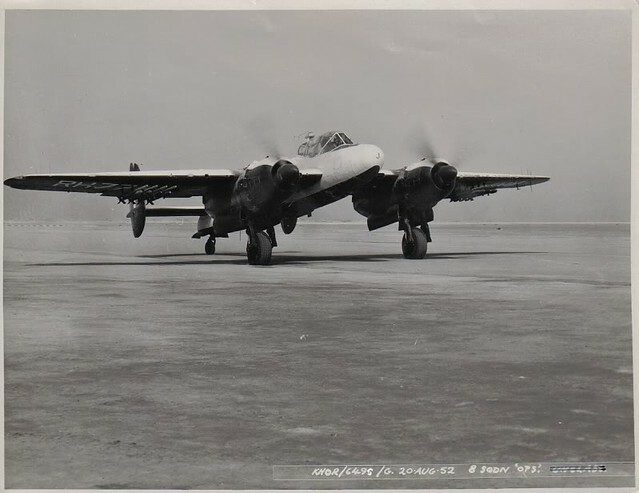 The requirement for longer range led to evolution of the long-nosed, increased tankage and strengthened landing gear version, named originally Bolingbroke I. 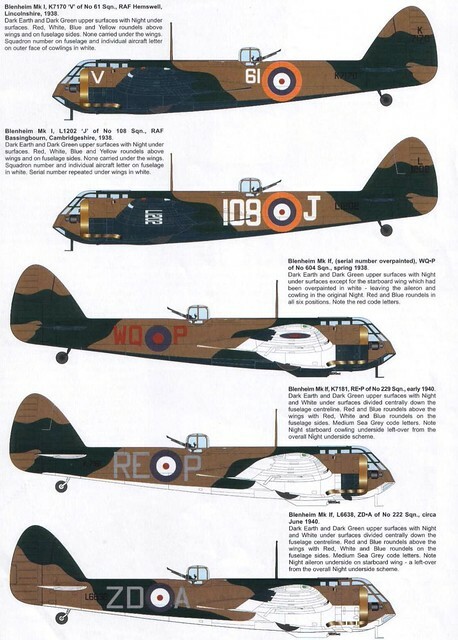 These began to enter RAF service in March 1939, by then designated Blenheim IV. 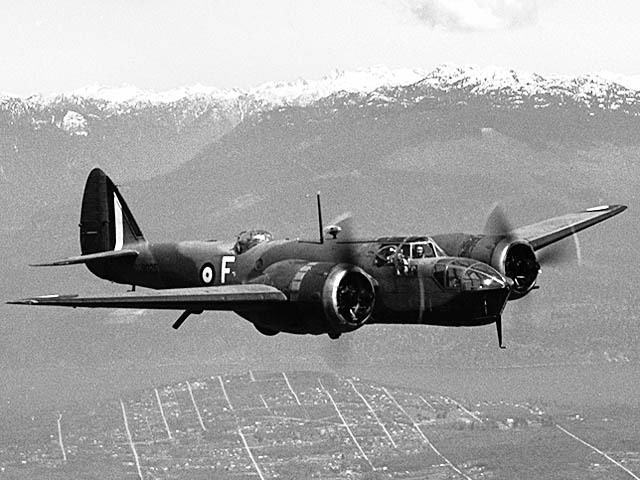 By the outbreak of World War II Blenheim Is had been superseded by Mk IVs in the UK, but remained in first-line service in Greece and the Western Desert. 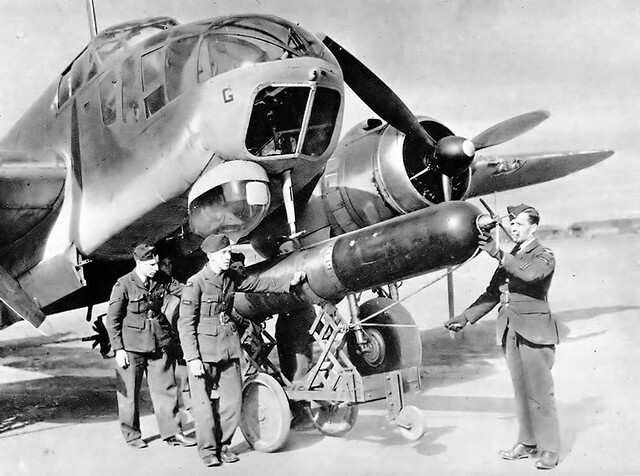 Blenheim IF night-fighters had their armament of two machine-guns supplemented by a four-Browning under-fuselage gun pack. These aircraft pioneered British airborne radar, serving throughout the blitz of 1940-41. 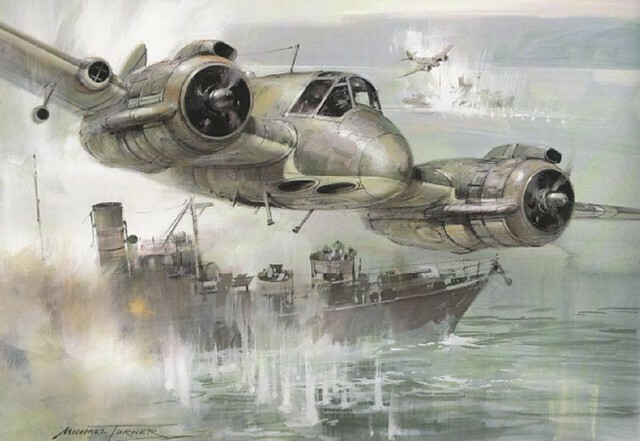 Blenheim IVs had their share of early fame - making the first reconnaissance over Germany of World War II on 3 September 1939, the first attack on the German Fleet on 4 September - and were continuously active over Europe on daylight raids until late 1941. 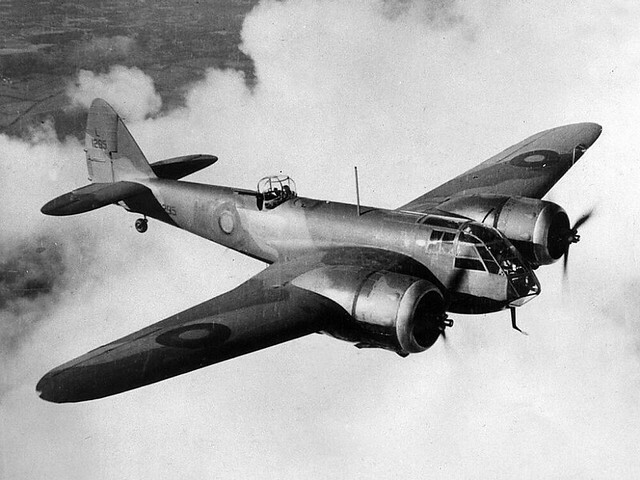 On 24 February 1941 a modified Blenheim, known originally as the Bisley, made its first flight. Powered by two 708kW Mercury 30 engines, it featured an extensively modified nose and other changes. 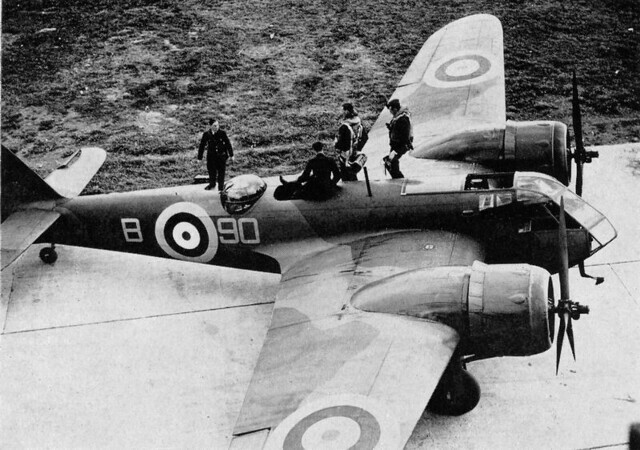 As the Blenheim V, a total of 940 production aircraft were eventually built in several variants. Although not popular with its crews it remained operational in the Far East until the latter part of 1943.